It’s graduate program application season again. That means I’m writing 5-10 letters of recommendation per week, and hand-holding frantic undergrads who have no idea what to do next with their lives. Many of my students will be applying to post-graduate programs relevant to our undergraduate program (Health Sciences), and that usually means Epidemiology or Health Systems or Public Health or something with the word “health” in it. As a time saving exercise, I decided to summarize some of my advice in this blog post, specifically around that particularly challenging application task, the formulation of a letter of intent, also called a letter of introduction. At the end of this post will be links to a couple of external resources that might be useful. Not all programs require such letters. But for those that do, the letter represents an opportunity to account for any shortfalls in the overall application, but also an opportunity to screw up an otherwise adequate application. So if any readers have other bits of advice to offer, please feel free to include them in the comments below. Interested readers might also be interested in my audio podcast on career planning in the health sciences. The professors who sit on admissions committees are busy people who really don’t want to be on those committees. We read scores of applications, and it’s unavoidable to start skimming some of the lengthier ones. Therefore I recommend that your letter be no more than two pages long (unless the specific application guidelines say otherwise). Don’t get cute with the font and spacing size. Concision in writing is a virtue. 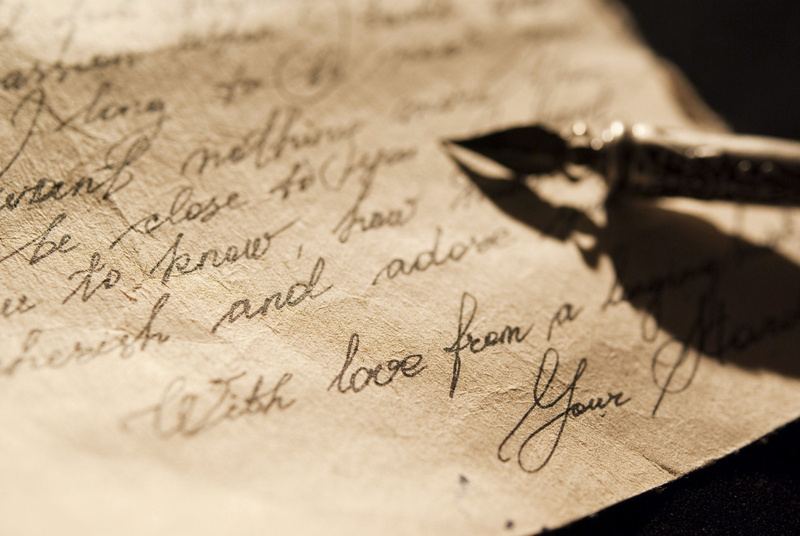 Your letter is an opportunity to display your ability to express the entirety of your thoughts in a tight, easily read passage. It’s important to demonstrate familiarity with the expectations of the profession you are trying to join. One way to do this is to start using some of the technical language of that profession. For example, if you are applying to an Epidemiology program, it’s advisable to use common epidemiological terms, like “cohort study” and “sample size calculation”. Don’t get too fancy, to the extent that it’s evident you’re plowing through a thesaurus. But do show that you care enough about the discipline to have familiarized yourself with its language. One of the more frustrating characteristics of application letters is their “generalness”; some letters are so unspecific that it’s clear that the applicant is using one generic letter to apply to a number of unrelated programs. We all know that students apply to more than one program. But we still want to be your one and only choice. If there’s any sense that we are not your priority, we will not be inclined to make you our priority. One way to do this is to tell us how you came to know about us. Mention some of our professors by name. Look up some of our papers and read them (or at least their abstracts) and cite them. Be careful to not just visit the department website and regurgitate what’s written there about the professors. Those data have not been updated in months or years. Many students have mentioned me in their application letters, citing my research projects from six years ago, making it clear to me that those applicants really do not know my work. It’s advisable to get a sense of how the department or program sees itself. You can do this by looking at its press releases, its special announcements and initiatives, and even its mission and vision statements. The more aligned your application is with the program’s image of itself, the more we will see you as being a good fit for us. The science of the letter is making sure you hit the dos and don’ts. The art is trickier. Remember that those of us on admissions committees weren’t clever enough to avoid being on these committees. We’re also overburdened by reading many letters. That means we might not be alert enough to sense nuance. But nuance is important. For example, it is advisable that your letter outline a research proposal with a high degree of enthusiasm and specificity. But, in my opinion, you should not be so specific and passionate about that proposal that a less-than-alert committee member conclude that since your proposal may not be an exact fit with our program, you are better off pitching it elsewhere. In other words, sell us on you, not on the project. Different programs have different expectations about how much detail you should present about your project. Some programs require you to have already identified a supervisor willing to take you on (which should be re-confirmed in your letter), while others allow you to identify a supervisor once you’ve been granted admission. Realistically, no one expects a fresh applicant to have already developed a refined research proposal. If you and a pre-identified supervisor have already identified a project, then it is advisable to work with him/her to refine a brief description of that project for inclusion in your letter. It’s the last alarm that I find most poor proposals set off. For example, one student might write that she wants to “work with African women who have HIV/AIDS”. This is vague, large, and a bit pie-in-the-sky. A better approach is taken by the student who writes that she wants to examine secondary administrative data to investigate the relationship between female HIV+ immigrants from Sub-Saharan Africa and nosocomial infections. See the difference? Not a lot of detail is required. But a general guide is to make sure you mention the proposed data source, the analytical approach, what you intend to measure, and why this is important to you. No one expects you to be an expert on this topic already, so there’s no need to get too specific. These days, universities are all about money. If you’ve got any kind of funding coming into the program, especially competitive funding, then do mention it. It’s an indication of your quality of a scholar, but also a good sign that you may not cost the program as much as a student who does not bring his or her own funding. This is especially true for competitive, peer-reviewed research funding. In Canada, the major funding body is called the Tri-Council (SSHRC, NSERC, CIHR). Graduate students are encouraged to apply for training grants under these agencies. While they are very competitive, I’ve always found it encouraging when a student has, at the very least, expressed in their letter that their application for research funding has been submitted. It shows foresight and seriousness. Most students don’t have a lot of experience doing anything except going to school. That means every little bit of experience counts. Research experience counts the most. If you’ve volunteered in a lab, or done an independent fourth year project, definitely mention it. Mention the name of the project you completed, and your role in its completion. Most critically, if you presented your research in a scientific forum –a conference or, best of all, a peer-reviewed journal article– sing this fact early and prominently. It really does set you apart from other applicants. We care about your motivation for applying to our program. Your long term success is our long term success. So we like to see how you envision a degree from our program contributing to your career path. What do you want to do with our degree? Does your path include a PhD? (Increasingly, programs like to see this… it means we might be looking at a longer term relationship with you.) Does it include medical school or law school? (In general, we don’t like to see this, since it often implies that our program is just a time-killing exercise while your med school application is being processed.) Does your path lead to government or industry? If so, take the time to describe what that might look like. We see you as a future colleague. So if there’s a chance you’ll be in a position to be useful to us in the near future, that’s valuable to us and a point in your favour. I must stress again that the points above are based upon my field, my experience, and my opinion. Other positions are just as valid, and I encourage you to consult professors in your department for advice on how to structure your letter. One common error is to recapitulate information found in other submitted documents (transcripts, resume, etc). There is no need for that. However, if there is a dramatic shortcoming in those documents –for example, a D in a critical core course– then the letter is an opportunity to explain the context of that shortcoming. Frankly, the single biggest problem I see in current grad school letters of intent is ….wait for it…. poor writing skill. Please, please, please, show your letter to someone who has good editing skills and take his or her criticism to heart. A strong, literate letter goes a long way to impressing us in an era in which communication skills are in decline.